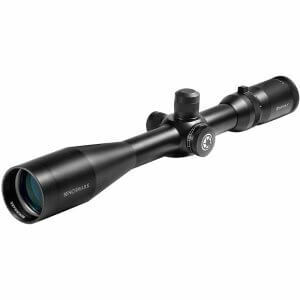 Barska's 2nd generation of Sniper Series riflescopes offer outstanding performance, impressive features, and rugged construction to make them an unbeatable deal. 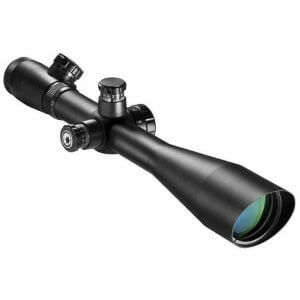 Sniper scopes are designed for high-resolution sighting of distant targets where precision is an absolute necessity. 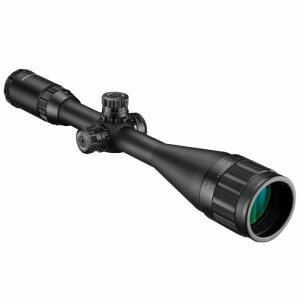 The multi-coated lenses of the Sniper Scope Series by Barska are flawless with perfect clarity for distant viewing and sighting of still and moving objects. The multi-coated lens also protects against the suns UV rays and enhances light transmission. An angled sunshade on all Sniper Series scopes helps reduce glare, giving the shooter a clear view anytime during the day. The impact resistant construction of the Sniper Series of scopes ensures that the lenses will not be loosened from repeated firing, nor will the scope lose its zero if bumped or dropped. The Sniper Series has been developed for use in military and hunting situations where targets must be sighted at a great enough distance to prevent danger to the shooter. Every Sniper Series scope is dry nitrogen purged and o-ring sealed, which will prevent fogging inside the scope and offers waterproof protection. The Sniper scopes also come with a protective scope cap and a set of rings. Backed by Barska's Limited Lifetime Warranty. Got this for my AR 10 and I'm liking it a lot. It's clear even at 24x, turrets are smooth and easy to adjust, and it holds zero. The image does get a little dimmer at the highest power, but for the price, this is a killer scope. Put this on a SIG 522 .22LR rifle...overkill for sure...but can cover 3-4 shots with a dime, all day in the dead center at 50 yds . This product comes complete ready to mount and shoot with the included rings. Turrets seem to be solid and it keeps its zero very well even on a big magnum rifle. Great scope for the right price. I put 200 rounds through my 300 win mag and its still tight and dead on out to 400 yards I have NO complaints. Clear, holds zero, and smooth 1/8 adjustment. Bought this scope for my Savage 110 in 308, finally got the chance to take it out for deer rifle season, and shot a deer 231 yards, that went maybe 30 yards from where I shot it.I am very pleased with its accuracy. Scope was mounted on a 308 and sighted in. turrets were set to zero. turrets were then cranked all the way up and down as well as left and right; then back to zero on both. Fired 10 rds and scope held its zero. All round, for the money a good scope. Awesome recticle for a second focal plane! All the bells and whistles you need for recreational or serious shooting! Magnification must be set to 10 power to correctly mil a target to calculate distance. At least that's been the case with mine. 10 power is about 3.6 inches per mil with a 100 yard zero. 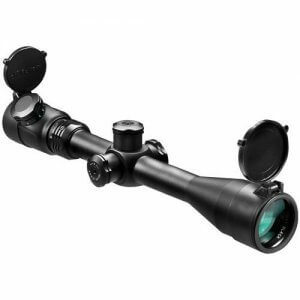 Overall a very nice scope for the price. Love the look of the scope! Very cool!